This post contains a simple watercolor that reminds me of my youth. I grew up on the reservation in the 1950’s. Occasionally riders would pass by our home late evening or early morning. 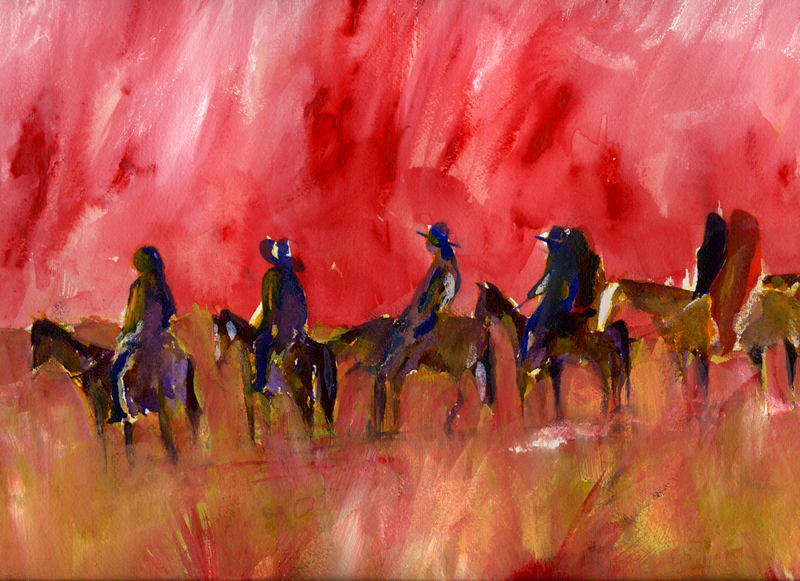 When the sky turns red, I think back and remember sounds and sights of horses walking by kicking up dust. Original has been sold. No prints available at this time.